What are your favorite summer flavors? This cherry lime spritz combines two of my favorites. Cherries are my far my favorite summer fruit and I’m always a big fan of limes, all year long. This drink really is the perfect drink for summer and you can customize it to fit your flavor preferences! 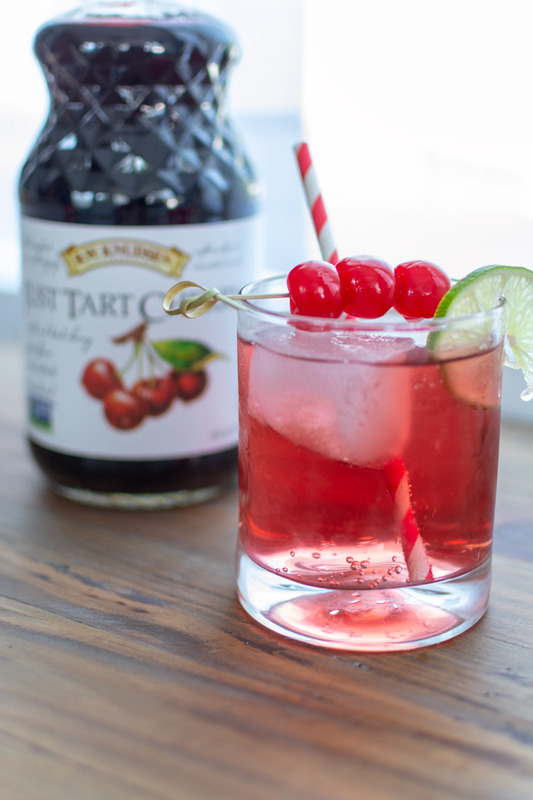 I’m a major tart drink fan, so that’s why I love this simple cherry lime spritz recipe so much. Both the cherry juice and the limes are tart, but the soda adds the right amount of sweetness without all the calories. To make this drink, you just need a few simple ingredients. 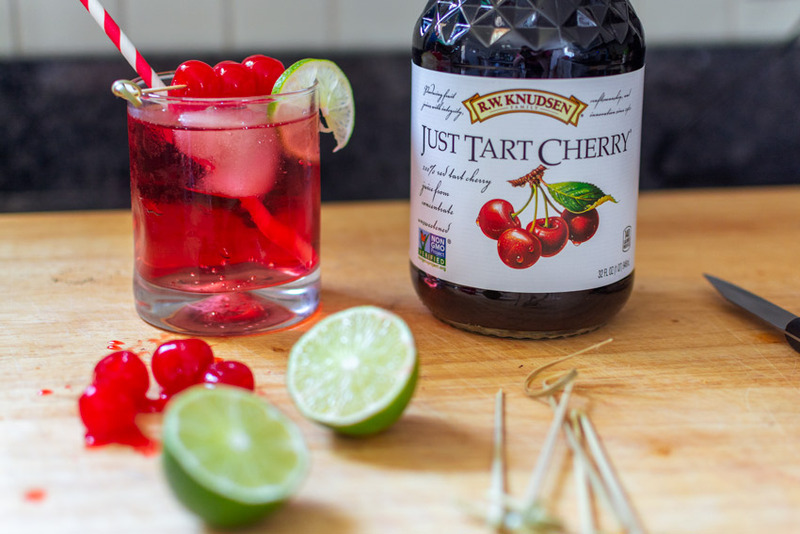 To start, you need head to your local Walmart to get RW Knudsen® Just Tart Cherry Juice. This juice is undiluted, 100% juice, and certified non GMO. I also love how RW Knudsen juices use fresh ingredients, so I know exactly what I am getting in my juice! You will also want to grab some limes, fresh or maraschino cherries, and either soda water or a lemon/lime diet soda. The best part about this drink is just how customizable it is. You can add more or less cherry juice, more or less lime juice, and as much soda as you need to give it the flavor you like. You can use regular soda, if you prefer. I opted for diet to save on the calories. If you want to spike the drink, you could definitely add a clear alcohol like gin or vodka. Also, if you really want to ramp up the cherry flavor, you can add more Maraschino cherries to the bottom and muddle them a bit to bring out more sweetness. 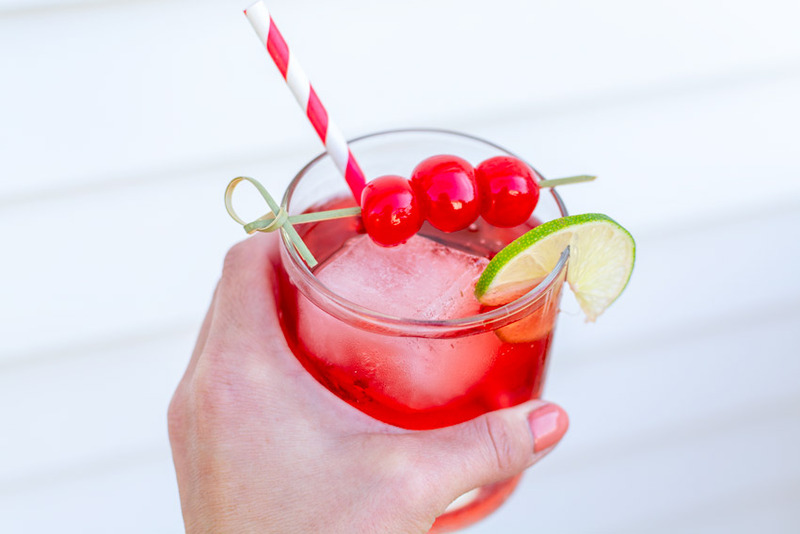 I love this simple cherry lime spritz for the summer because there is no better way to unwind on a hot summer day than to sit back and enjoy the taste of summer with a tall glass of a fruit juice – infused spritz. Since 1961 RW Knudsen has provided quality ingredients. Their juices are 100% juice that is all natural and each 8 oz serving provides a serving of fruit. If you’d like to try this cherry lime spritz for yourself, you can follow the simple instructions below. I hope you’ll give it a try – it’s so easy to make and a total crowd-pleaser for both kids and adults. Juice the lime and set aside. Mix cherry juice, soda, and lime juice to taste. Add the cherries and lime as garnish. 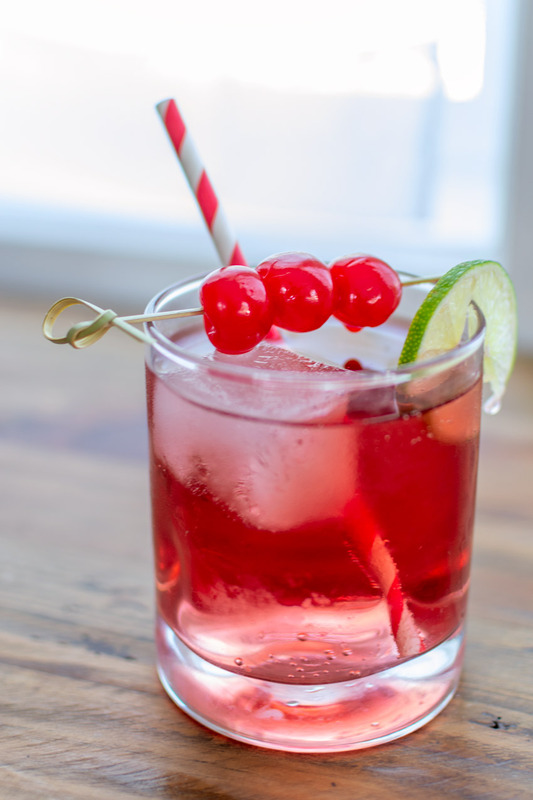 For a stronger cherry flavor, add Maraschino cherries to the bottom of the drink and muddle them. Adjust the lime juice, cherry juice and soda to suit your taste preferences.